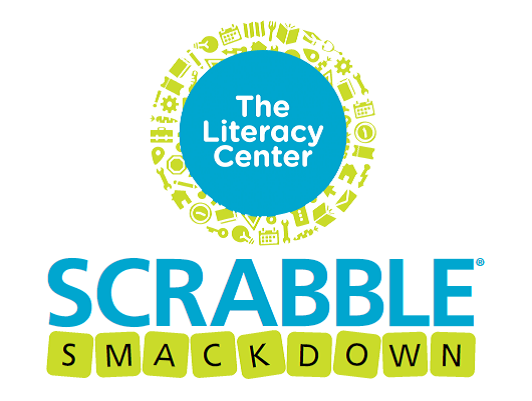 Where: Ivy Tech- Commons, 3501 First Ave.
Why: To have fun while raising money and awareness for literacy issues! Now Recruiting: Teams, Sponsors, and Volunteers! – Make reading a daily habit in your home. Try designating a reading corner for a cozy reading experience. – Read a new book with your young person or as a family to explore a new adventure together. -Get a library card if you don’t have one and schedule regular visits. Pick a day and a time. – Give the gift of a literacy to your community with books and resources by hosting a book drive or building a little free library. Donate books to a pre-school, or community center. – Volunteer to be a reading tutor. – Plan now to start a literacy tradition built around the Holiday of your choice. Gifts of books and quality reading time. 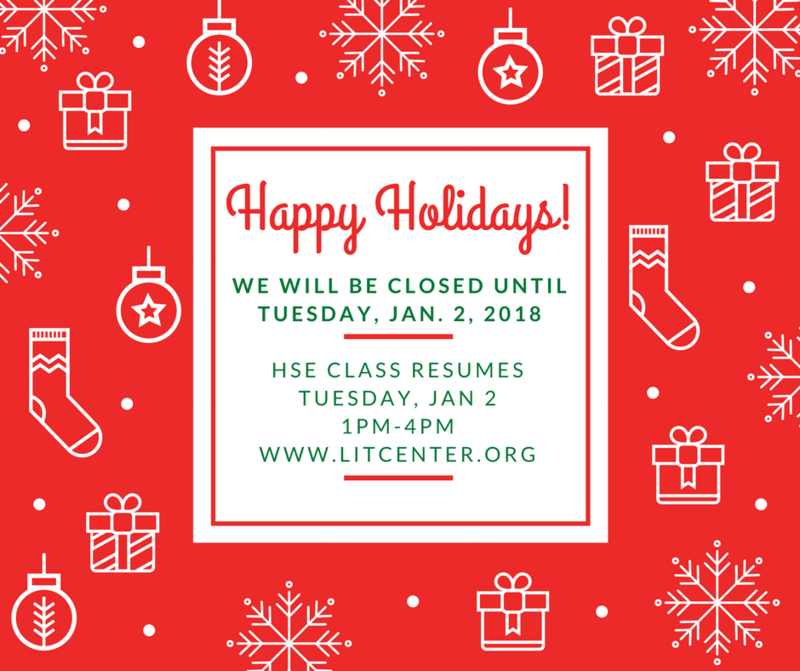 The Literacy Center will be closed for the Holidays: Monday Dec. 25, 2017- Monday, January 1, 2018. We will be re-open and return to normal hours on Tuesday, January 2, 2018. High School Equivalency Classes will return to normal schedule on Tuesday, January 2nd from 1:00 pm-4:00pm. or text us at 812-250-8788. We will return all texts and inquiries Tuesday, Jan. 2nd. You received an email from Auction Company and Marilyn Brenton if you were the highest bidder on an auction item. Item(s) will be available for pick-up at The Literacy Center office at 34111 North First Avenue. We are in the strip mall in between Ivy Tech and Wendy’s. (it has a green tin roof. The bookstore and certification is the signage you will see). Pick up at the office both days Thursday, Dec. 21 and Friday Dec. 22 from 9:00 a.m. until 4:00 p.m. CT. If you cannot make any of these times and need your item before Christmas, please follow directions in your email to make special arrangements. Identification will be required for pick up. Please bring your driver’s license or a copy of your finalized invoice. If someone other than you will be picking up, let us know and be sure they have a copy of your finalized invoice. 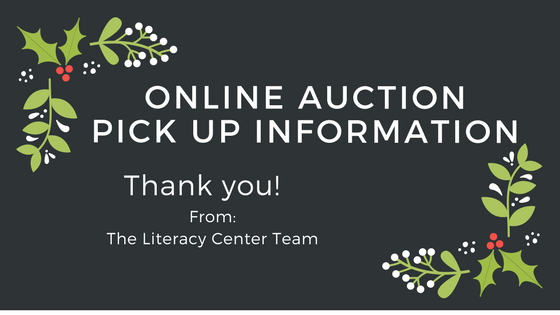 Thank you so much for supporting The Literacy Center! Thank you to all the businesses and individuals that made donations to the auction, we are filled with gratitude for your support! The Literacy Center is dedicated to improving adult literacy and education thereby strengthening our community.